In British Columbia, all on road vehicles are required to carry basic ICBC autoplan insurance. This includes coverage for accident benefits, as well as the minimum required $200,000 third party liability coverage. 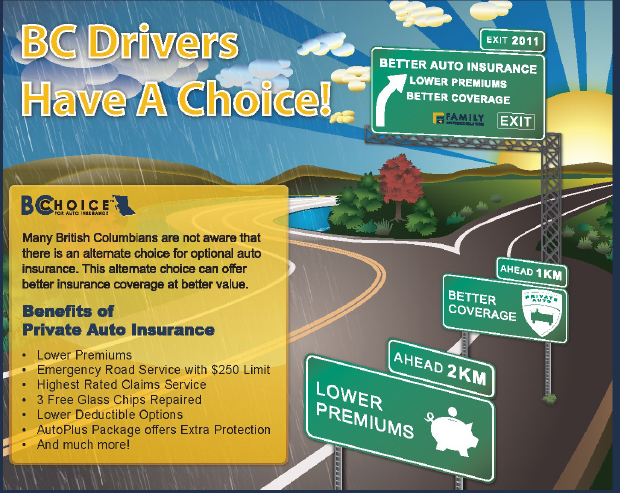 Optional Coverage for higher liability limits, collision and comprehensive are also available through ICBC. However, if you have at least ten years of safe driving experience in Canada and/or the US, you may be eligible for private auto insurance. Irwin & Billings offers private auto insurance through Family Insurance & Intact Insurance. Some of the benefits of placing coverage with a private insurer include lower deductibles, lower premiums, better roadside assistance, first accident claims forgiveness and better claims service. Feel free to contact one of our Auto experts for more information!